Wow – what a difference a day makes! After a long wait for new snow it arrived on time for closing day! We raced up to Aspen to get some fresh tracks. Unbelievably there was pretty much no-one there – I was expecting a line at the gondola but there wasn’t one! Free parking as it was a Sunday and my daughter and I had so much fun making our own brand new tracks. 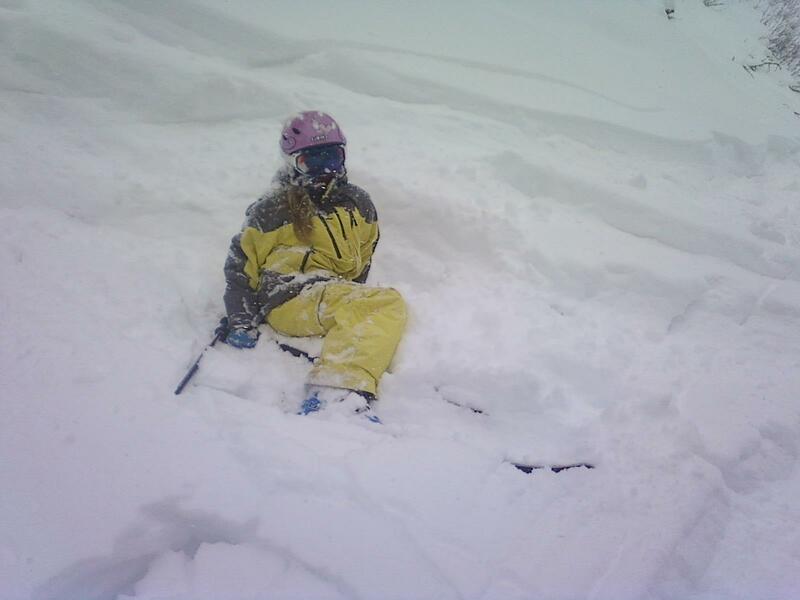 I think 13-16 inches was reported but at times I was up to mid-thigh and my daughter was up to her waist. The photos show the difference from yesterday to today…. 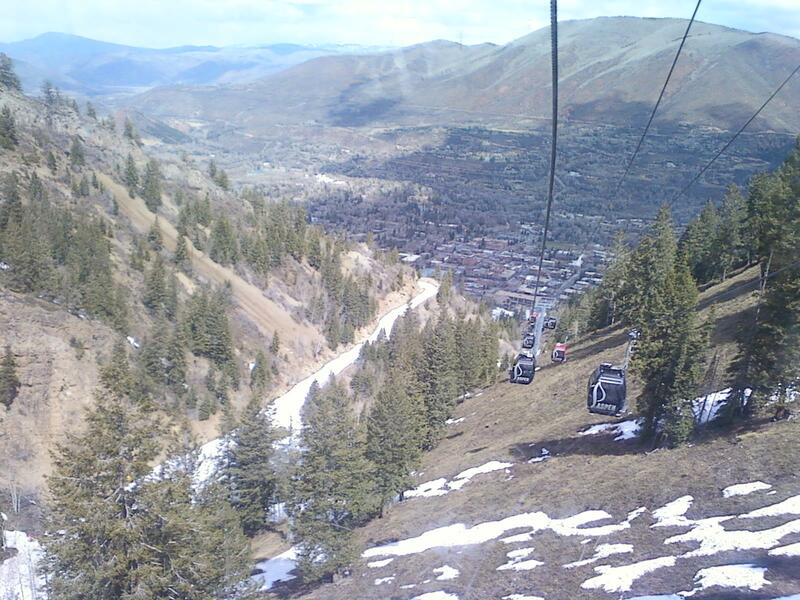 both taken from the gondola looking back at Aspen with Kleenex corner on left of photos. 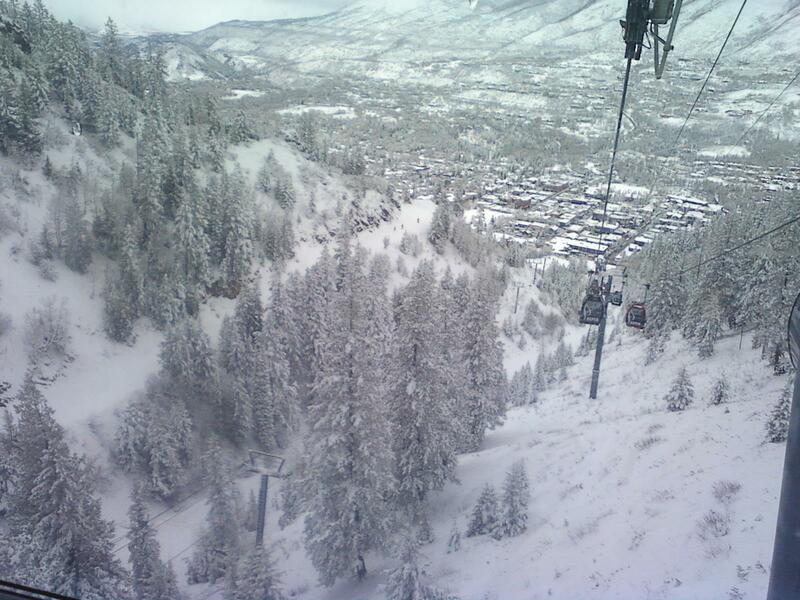 This entry was posted in Uncategorized and tagged ajax, aspen, Aspen Mountain, bronwyn anglin, powder day. Bookmark the permalink.